If you’re looking for an event space that will leave your guests truly speechless, it has to be World Yacht. Breathtaking views of the New York City skyline and Statue of Liberty create a stunning backdrop for your event. There’s nothing quite as exclusive or luxurious as a party on board a yacht. The perfect, romantic setting to celebrate milestone anniversaries. Create priceless memories with an epic bar or bat mitzvah party! Birthdays on board feature sweeping 360-degree views of the New York City skyline. Dazzle your guests with unparalleled views and 5-star service. Flexible spaces easily accommodate a wide range of events for your congregation. Picture-perfect photo opportunities with Lady Liberty, fun for all ages. Dazzling venue options for proms and school dances. Make 16 even sweeter with a party on board. We’re more than just a great venue – with our in-house team of event specialists, you won’t have to do the planning by yourself. Our friendly staff takes care of every aspect of the event, ensuring the comfort and enjoyment of your guests during the party and your sanity throughout the planning process. Convenient on-site guest parking is available at Pier 81 and Pier 83. 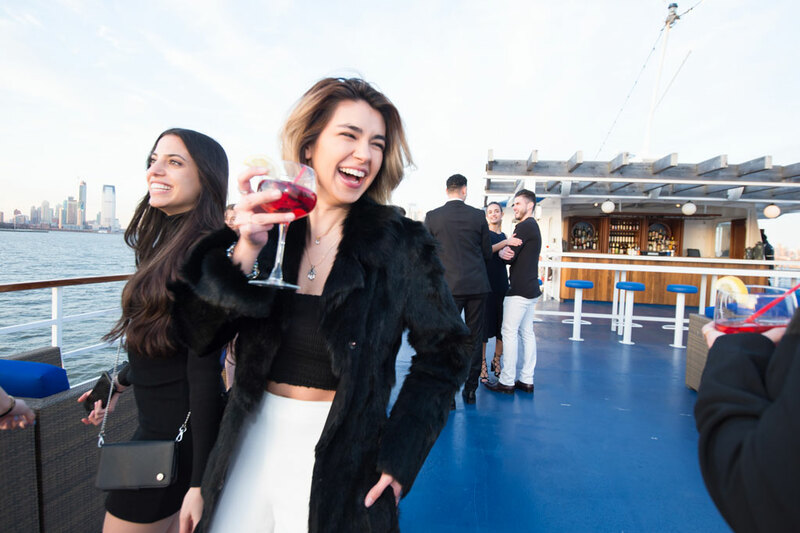 The World Yacht team will help you choose the perfect yacht to meet your needs and make your social event one to remember. 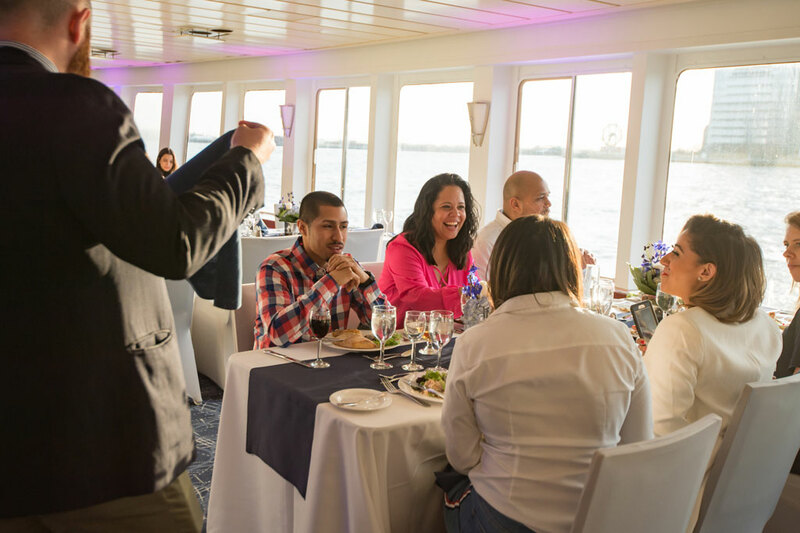 Want to learn more about social events aboard World Yacht, or are you ready to start planning your epic event? Take the first step by providing some introductory information to get paired with an experienced in-house event planner.